Lambrusco, called a bitter tasting grape by the Classical Age poets and writers, was created in Modena, Italy. It's name originated from the Latin word "lambruscia," which means wild vines, and was given because the vines for this grape grew wildly even before ancient Rome. The Lambrusco grown today is a bit milder, and the nutrition information indicates it is in the average calorie range for red wine. Lambrusco is an Italian sparkling wine not quite as well-known as others produced within the country, like Prosecco or Spumante, and certainly less pricey than Champagne. Its color is ruby red, and it can be made in various levels of sweetness. Like other sparkling wines, Lambrusco, which is the most popular wine sold by Italian winemaker Riunite, should be served chilled. It is made from grapes grown within the three provinces of Emilia, Italy. Riunite notes in its nutrition information that Lambrusco has 66 calories in 100ml. This would be equal to just over 3 oz. and would be considered a small glass of wine. 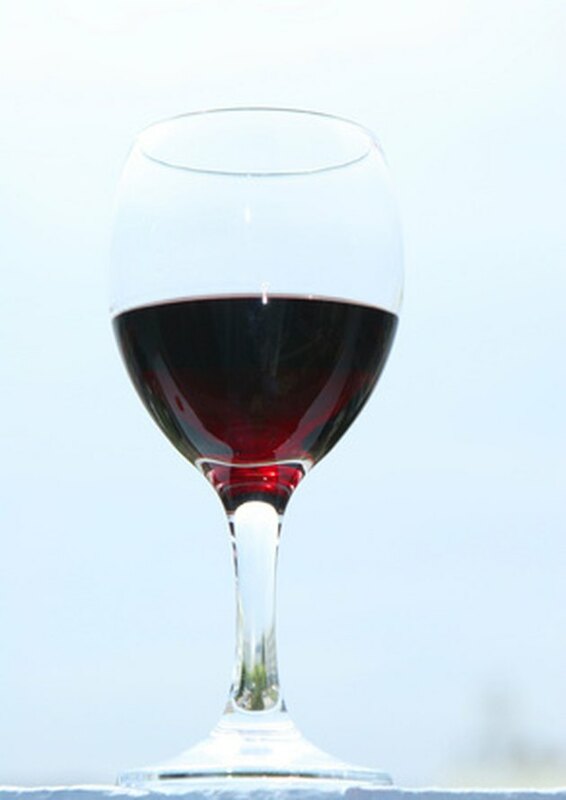 Riedel, maker of fine wine glasses, indicates that the proper glass for Lambrusco is 13 oz., which is to be filled halfway. According to those calculations, an average glass of Lambrusco would have 132 calories. Sugar is not added to wine, but residual sugar does occur naturally when grapes are fermented into wine. This sugar value, though fairly low, will show up in the nutritional information. You will find about 4g of sugar in a glass of Lambrusco wine. The sugar value and wine-making process add to the carbohydrate value, which will be about 26g in a 6-1/2 oz. glass of Lambrusco. Beyond the sugar and carbohydrates, there is no other nutritional information for Lambrusco wine. It contains no fat, cholesterol, sodium or fiber. You will also find no vitamins or minerals in a glass of Lambrusco wine. This beverage would not be considered as fulfilling daily dietary needs beyond 4 percent of the recommended daily value of carbohydrates. Different brands of Lambrusco will produce a slight variation in the calories, carbohydrates and sugar content within a glass of the wine. To accurately obtain nutrition information, check with the manufacturer of the Lambrusco you have chosen. While it may be safe in moderation, drinking excess amounts of alcoholic beverages can cause liver problems and other health issues.